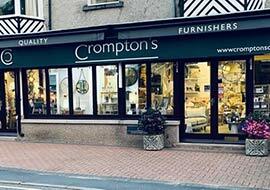 At Cromptons Quality Furnishers in Grange-Over-Sands, Cumbria, we sell just about everything in the way of gifts, furniture, home furnishings and accessories, from the traditional to the exotic. Passing customers can't resist the urge to enter our bright and welcoming showroom, to browse through all our latest quirky niknaks, unusual accessories, innovative furniture and gifts for any occasion – whether for birthdays, weddings, or just because; Cromptons Furnishers is the best place in Cumbria to find that extra special something for the home. Our new image at Cromptons reflects the age of the business, as a long-established retailer in the Lake District, having served the residents and visitors of Cumbria over three decades. We strive to provide fantastic products for absolutely everyone – from our long-time loyal customers who have been with us from the beginning, to their children and grandchildren. 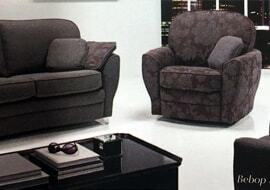 And with competitive prices and ranges to suit all budgets, you can be sure to find what you are looking for at our Cumbria furniture showroom. High quality beds and bedroom furniture at our shop and showroom in Grange-Over-Sands, South Cumbria. 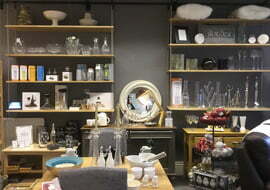 We offer a broad range of furniture - stocked by mainly British manufacturers! Cromptons bring you all the best of British furniture and home furnishings, with the vast majority of our stock being sourced from British manufacturers and made to the highest standard. We also deliver exceptional customer service and aftersales support from the moment you enter our furniture showroom to the delivery and installation, and beyond – as only a local business can. Come browse at your leisure or have a chat with our friendly staff, who are happy to offer helpful tips and experienced guidance.